John McAllister is a founding partner of McAllister & Quinn and manages a portfolio of corporate, non-profit, and higher education clients for the firm. For more than a decade and from both on and off Capitol Hill, John has been an active player in major public policy debates and national politics. John specializes in helping the firm’s clients to secure federal funding for their various development needs. As the architect of McAllister & Quinn’s Higher Education Practice, John and his team have designed a unique, integrated set of services that has proven highly successful for the colleges and universities the firm represents. 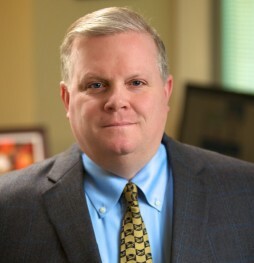 In a climate where Congressionally directed spending is nonexistent, and the ability to achieve results through the appropriations process is extremely limited, John’s extensive knowledge of the grants process has enabled him to develop and execute effective, winning strategies for the colleges and universities that McAllister & Quinn represents. John also works with clients in many different industries on a broad scope of funding and policy issues related to appropriations, technology, education, homeland security, health care, transportation, and other areas. His strong ties to Republican and Democratic leaders in Congress and various federal agencies provide him with unique access to the resources and intelligence of the key decision makers in Washington, DC. Prior to founding McAllister & Quinn, John’s Capitol Hill experience included serving as Legislative Director to Congressman Bud Shuster (R-PA). John grew up in Olean, New York and graduated from Albright College with a B.A. in political science. John serves on the Board of Trustees of Albright College, a private liberal arts college in Pennsylvania, and also serves on the Board of Trustees of the Washington Jesuit Academy, a private, tuition-free middle school that prepares adolescent boys in Northeast DC for academic success in high school.